Nothing sounds more cheerful than a room full of children singing Christmas carols! 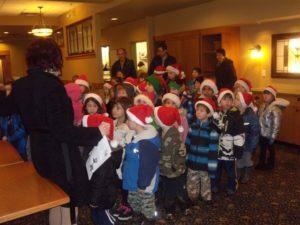 The children from across the street, at Sidney Elementary School, walked on over to Norgarden and The Peninsula to sing some carols for the residents. This brought many smiles and warmth into the buildings!